The Nurenberg, Paris, Heller & McCarthy Law Firm covers a wide variety of injury related cases. They wanted to put an emphasis on their workers compensation type cases so they created the NPHM Workers Compensation app with us. 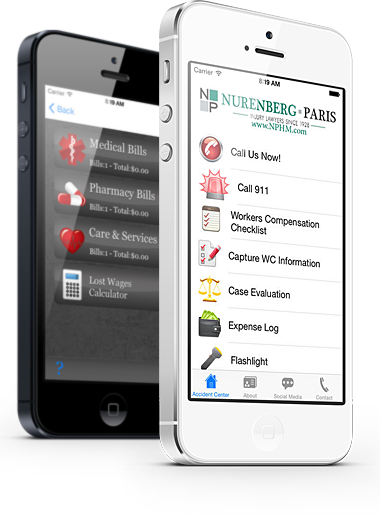 The Nurenberg, Paris, Heller and McCarthy Law Firm app can provide assistance if you’ve if you been involved in an incident in the work place. Want an app like this for your law firm? Create yours today!